The Harry Potter series is dead. Oh, don't get me wrong, its still alive and kicking when it comes to new films and box office grosses. However, as far as the story and characers go, the series breathed its final breathe with The Goblet of Fire. You may hate what I have said or perhaps there is that odd person out there like me who has not grown increasingly interested in the Harry Potter series as they have developed, but instead have grown increasingly frustrated with not only the movies themselves, but the massive success they have attained as well. What started out as an amusing children's adventure is now at part 6 of an epic 7 part (but 8 films) series, and has become a dark and mysterious action-adventure film for teens and adults. Don't worry; I'm not going to argue that the film will corrupt young viewers or even scare them as the films have gotten darker. No, I just think that the Harry Potter series of films is the single most overrated film series of all-time...and that it is dead too. Saying that the series is overrated is not to say that it isn't good, or that it isn't even excellent at times. You have to consider this though, each Harry Potter film has earned 77% or higher in all of its Rotten Tomatoes ratings while the first two films both received four stars from Roger Ebert. Top that with financial success that will make the Harry Potter series one the most profitable series of all-time. With all this critical and popular success consistently over a decade and six films, one would think that these were films with little to no faults. So before jumping into the faults, let me begin with a few kind words for the series. The Harry Potter series is incredibly imagined and creative. The Potter universe feels fresh and new and original. It's filled with great and interesting characters that populate both beautiful and horrific locations. To bring all this to life is incredible technical work. Each film is a wonder of set design, cinematography, and film score. Each film also offers up some decent dramatic moments as well. I say all this so that you may know that I don't see them as all bad, just incredibly overrated...and dead...and here is why. The Harry Potter series is first and foremost a fantasy story. 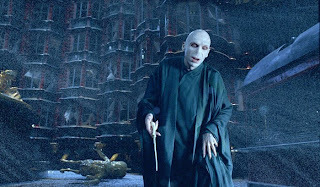 It's a story about the young boy who survived an attack by the evil Lord Voldemort. The boy grows up, goes to Wizarding School and must mature and grow in order to ultimately defeat Lord Voldemort. There is nothing wrong with a simple narrative (as the Harry Potter one ultimately is), but stretching out that simple narrative into 8 films (all of which top 2 hours or will top 2 hours) is a stretch even for a Lord of the Rings fan. Since each of the films follows the basic structure of one year's time at Hogwarts, there is a necessity to develop a central conflict and resolution for each of the entries. With that conflict should come true character development and progression. Unfortunately, those requirements prove too much for the simple narrative of Harry Potter for several reasons. Harry Potter, being the main character, is central to the main conflict and resolution of each film. At each conflict Harry musters the strength and courage to overcome it, whether it be two-headed professors, a giant snake, dementors, or even Lord Voldemort himself. The problem with letting Harry triumph in all these conflicts is that his character develops in each film, only to be brought to square one again for the next film. 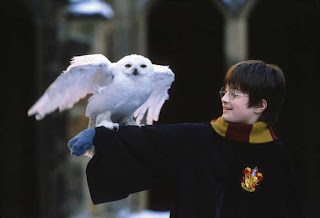 By the end of the first two films Harry has already gathered the strength and courage to do extraordinary things that would make any youngster confident of his abilities and place in the magical world. Yet, we are to believe that for films three and four that he is still trying to overcome some of the basic doubts about his specialness and his past. So when he faces the dementor's in The Prisoner of Azkaban, Harry must again summon the strength to overcome his past and his insecurities. Having faced them and defeated the dementors, we find a Harry Potter in The Goblet of Fire who still isn't sure about his abilities and must again summon the strength to overcome his past and his insecurities. 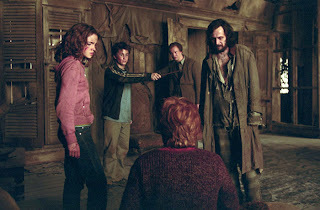 Harry then duels Voldemort to a draw (keep in mind that the film is now basically saying Harry is the magical equal of Voldemort), but we still find Harry Potter unsure about his future role and his past in The Order of the Phoenix. In order for film series to really truly work the characters have to progress and grow in new ways with each film and not in the same ways. Thus to me, Potter is rendered dramatically neutral. By The Goblet of Fire, Potter has stood up to Voldemort and literally dueled him to a standoff. How can a film series whose CENTRAL conflict in the whole narrative that Potter face and defeat Voldemort, tell its audience that our character is the equal of the villain and then feature the faceoff by film 4?! Then make its audience wait till film 8 (about 9 hours in screen time) till they have the final face off (they face off again in The Order of the Phoenix only to stalemate). Who cares when I know that Harry isn't weaker or in danger? Unfortunately, with each film, all the characters are dramatically neutered and thus basically dead. By The Goblet of Fire, Dumbledore hasn't anything to offer Harry as a mentor. In fact, Dumbledore is aggresive, makes mistakes, is confused, and is slipping memories out of his mind to get some rest like an alcoholic yearns for the bottle to forget the past. Voldemort who is only spoken of really in the first three films finally gets human form in The Goblet of Fire only to be neutered of his power by having Potter duel him to a standoff. 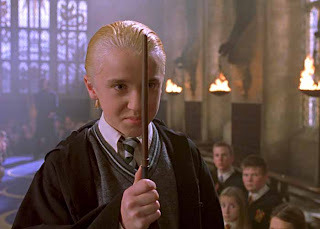 Draco Malfoy has recieved his comeuppance so many times in all the films that his character and his egging and subsequent embarrassment is nothing but a trite cliche. The most embarrassingly neutered character is that of Sirius Black. Besides a few kind words of encouragement to Potter, what effect does he really have on the story? He shows up in Prisoner of Azkaban (as someone they build up to be an evil menace) basically for exposition, then he gets one minute of screen time in The Goblet of Fire and then dies with barely a mention in The Order of the Phoenix, Leaving little to no impact on the central narrative. Severus Snape and Professor McGonagil do so little in each film that they are basically 'biding time' for us to wait until the writers want to kill them. Ron and Hermione are clearly just there for support to Harry. The films make clear that their personal growth matter nothing to the central narrative outside of some interesting teen romance. I can honestly say that there isn't a single character arc of any of the characters that has ermeged past The Goblet of Fire that has truly remained unresolved. This might be fine for a T.V. miniseries but it doesn't work with a film series. - In The Prisoner of Azkaban there is a magic time machine necklace that helps our three heroes out, but no other character (good or bad) is ever able to get there hands on it again. How handy would that be in the hands of Voldemort! - Being able to slip memories out of your mind like in The Goblet of Fire would sure come in handy in court, like when Harry is in court during The Order of the Phoenix. Talk about video evidence! 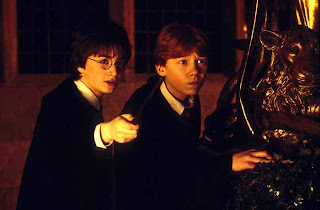 - In Goblet of Fire there are portkeys that allow instant access to different places just by touching it. This is never seen in any other film even though it would be advantageous to any character good or bad. Why use trains or brooms or the late night bus, when a portkey can zip you there? 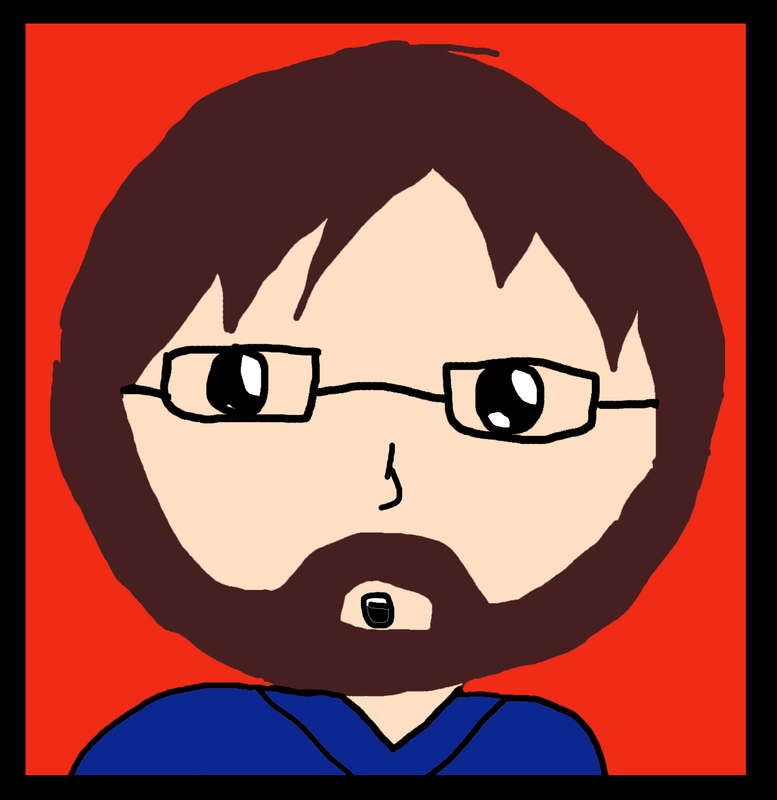 There are several more, but you get the basic idea. It begins to feel like things are being made up and developed on the spot simply to fit whatever the writers want. Forests filled with centaurs or spiders, three headed dogs, hippogriffs, goblins, house elfs, and phoenixes all show up when needed in the script but never seem to really 'exist' in the universe by making strong appearances in the other films. Quidditch matches show up in moments, but the films make no attempt to make it a real part of the universe. The problem turns into what I would call the "Saved by the Bell" affect; meaning that our lead characters inexplicably are involved in anything and everything under the sun at the school to where it seems that they are the only ones there. The school exists to support our characters and their stories, and not the school that exists for our characters to inhabit. There is a big deal made about Cedric Diggory's death in The Goblet of Fire, but since he was only introduced in that film and subsequently killed in that film it had no effect. Why not involve him in little ways in the other films? He is a completely expendable character. It's the same with the Defense of the Dark Arts teachers. They are the only ones whom anything of importance happens to, but since they are just thrown in new for each episode they are the person we care the least for. Lastly, the most unforgivable sin is that the films with all their running time can't even seem to tell the Harry Potter story clearly and precisely. I've seen all the films several times yet I still find myself wondering how the villains in the first two films relate to Voldemort and how exactly Voldemort is a slimy baby thing at the beginning of The Goblet of Fire. And I'm still not exactly sure what role Sirius Black was supposed to play in the whole thing. There is all this back-story about Voldemort and his supporters as well as Harry's parents, but while it might be interesting for the movie it appears in, it makes little to no impact on the central conflict. If I never learned a thing of Peter Pettigrew, Tom Riddle, Sirius Black, Professor Lupin, Mad Eye Moody, or Quorral then it wouldn't change a thing. Sure it brings detail to the story, but it doesn't bring richness. When I should feel like the central story is becoming clearer, I only feel it slipping away in a maze of confusion about how everyone relates to each other. That is unforgiveable in a series this long. I would dare someone to watch Harry Potter and the Sorcerer's Stone and then watch the final film when it comes out and see if they feel completely left out of the central narrative; I doubt they would. That centrally leaves the rest of the films as filler, perhaps interesting filler, but filler nonetheless. As the films compound their magical world begins to creak and strain and show its faults. While its an interesting universe that is well crafted and colored, the story is simply too convoluted and stretched to remain compelling and sharp. Not only does the narrative drown in a sea of confusion, but the magical worlds disappear with the magnifying glass of more screen time. I would love to be able to see what a gifted director could have done with this universe perhaps in a trilogy of films. Alas, we are stuck with a bloated, redundant, and neutered series that poses as a building and gathering narrative. In truth, the series is already dead, has been for sometime (I peg it at 2005's The Goblet of Fire). With each new film, the filmmakers simply dig up the corpse, dress it up and pop it in the casket on display. 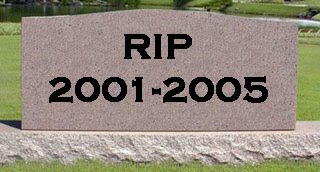 In the end, the series has become the highest grossing funeral service of all-time. I have no horse in this race, so I'll just sum my thoughts thusly: Harry Potter is a homeless man's Star Wars. And that's not a compliment. your tombstone is pretty depressing looking regardless for how you feel about potter. I wrote the piece before I watched the 'Half Blood Prince' and while there were moments of great development (Broadbent and Radcliffe were great together, while Draco finally got something to do other than just be a jerk), many of my same gripes seem to just reoccur. While Potter has a new quest, the horcruxes (sp? ), it seems to come out of nowhere and because of its reveal, render Dumbledore truly contradictory character. He sends Potter to befriend Slughorn in order to figure out Voldemort's plan, and implies the fate of the world relies on it. While those scenes really are fantastic (some of my favorite in the entire series), when Harry reports back to Dumbledore we learn that Dumbledore already knew of the horcruxes and has already been searching for them. What!? Impossible to make sense of. The bad part about the movies is that they have consistently left out so much of the most important character development, plot movement and supporting information that precisely covers all of the issues that you see lacking. The franchise is indeed built upon a fanbase of those who have, like me, read all the books and are therefore "in the know." For example, in the books it clearly explains that the port keys are used often, however the wizard/witch has to be of a certain age in order do so. I have to admit that I am indeed a fan. I have loved the books and I have found the stories to be quite adequately fleshed out and intriguing. I will also confess that I have not been as pleased with the movies as they have progressed, but I still will be in the theater on preview night for each of the showings, and I will purchase the DVD/Blu-Ray as soon as it is released. I am of the opinion that the franchise lost some of it's veracity upon the changing of directors. Chris Columbus did a great job on 1 and 2, but I feel that each subsequent director is intent with a "one ups-man" mentality, and as such have pulled out the darker elements of the books for theatrical value. Having said that, I would still give each movie a minimum of a B! I have to disagree with 8rent. Harry Potter and Star Wars are not even comparable. Personally, I didn't care for the Star Wars movies beyond the first one. But that's the great thing about the movies - there's something for everyone! Harry Potter is an addicting story about witchcraft, which is an abomination to the Lord. The Harry Potter books and movies are from the pit of hell. This is Christianity today, we don't even care to denounce the secular world for anything! It's innocent fun. The Wiccan religion is one of the fastest growing religions in England and the United States, correlating with Harry Potter success. Obviously it makes young children lust for the power the witchcraft can give them, and today you can begin practicing witchcraft in just a few clicks. (real) Witches loves Harry Potter! Warlocks loves Harry Potter! Oh let me guess, witches don't exist right? Satanists love Harry Potter because all he is doing is bring people to hell. Deluded, deceived and wordly Christians love Harry Potter. Praise the LORD!